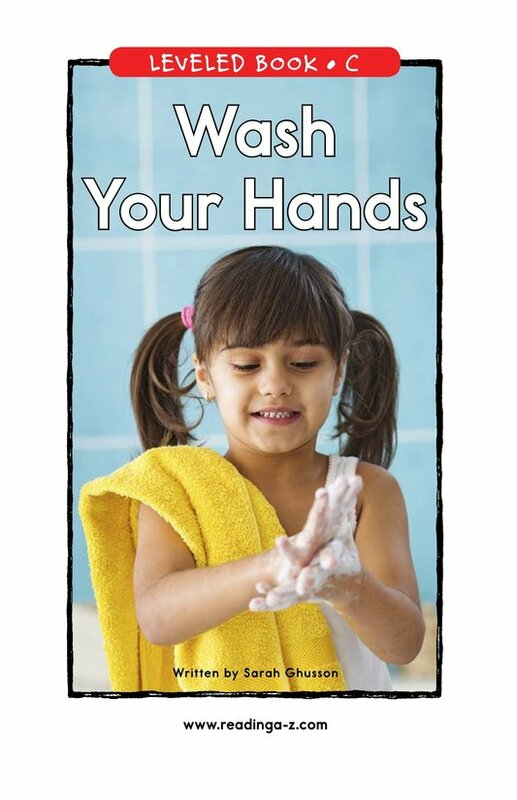 Learning when and how to wash your hands is an important skill that is a part of everyday life. 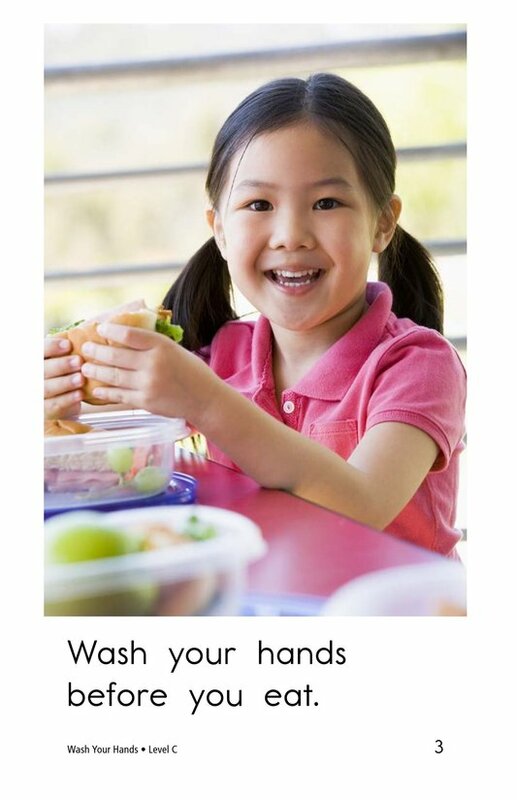 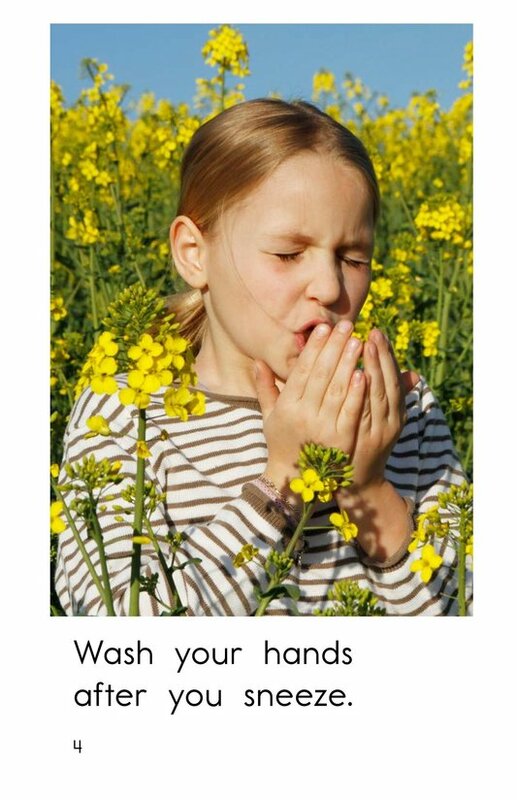 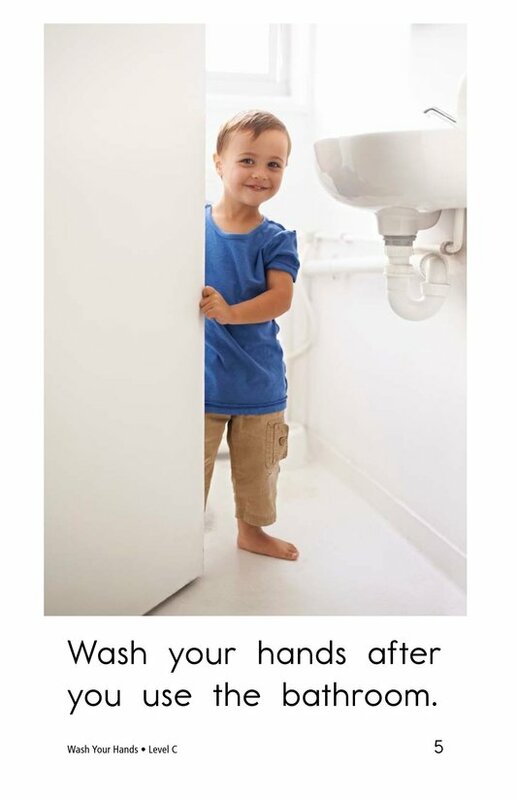 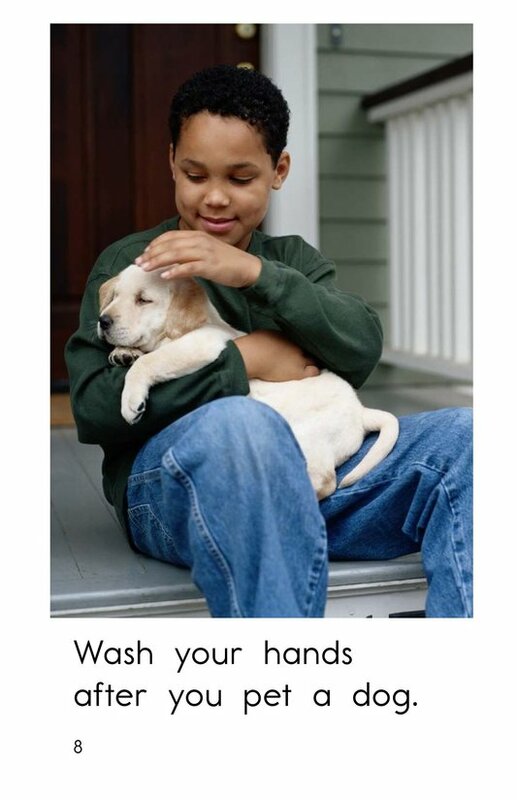 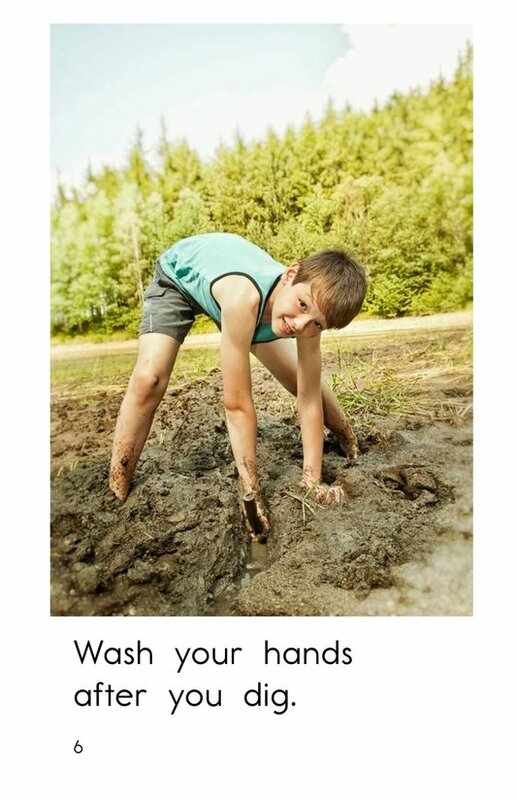 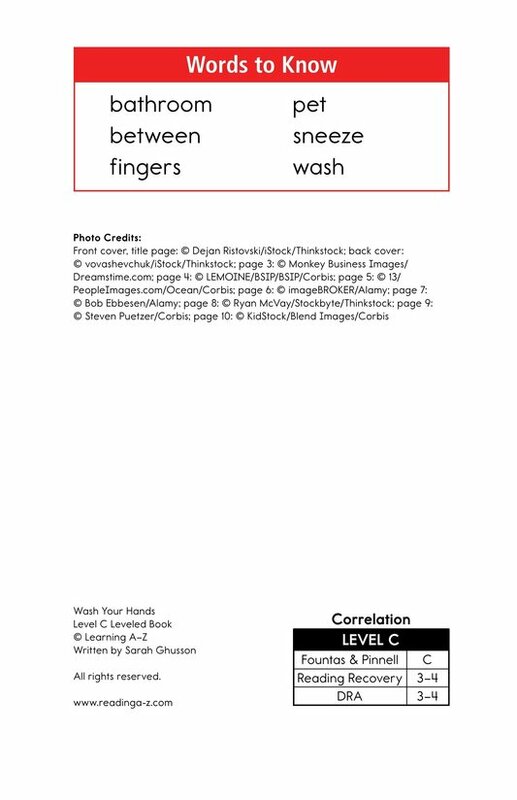 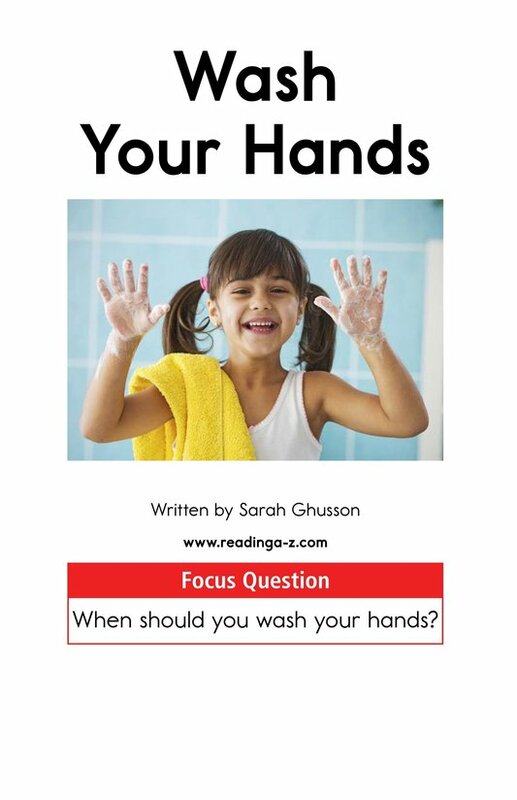 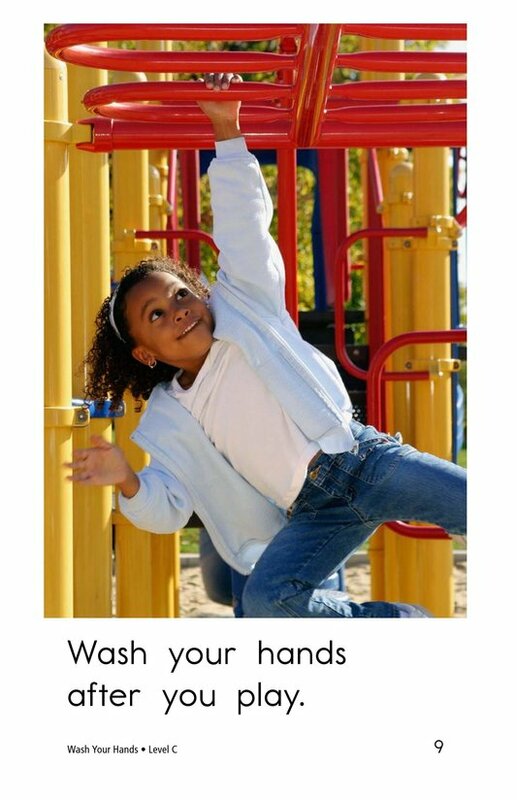 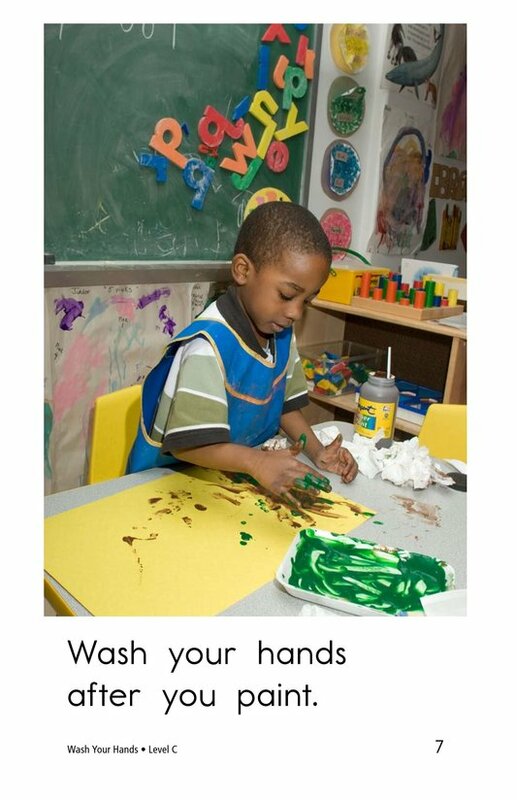 Wash Your Hands encourages kids to remember when to wash their hands through its descriptive and entertaining photographs. 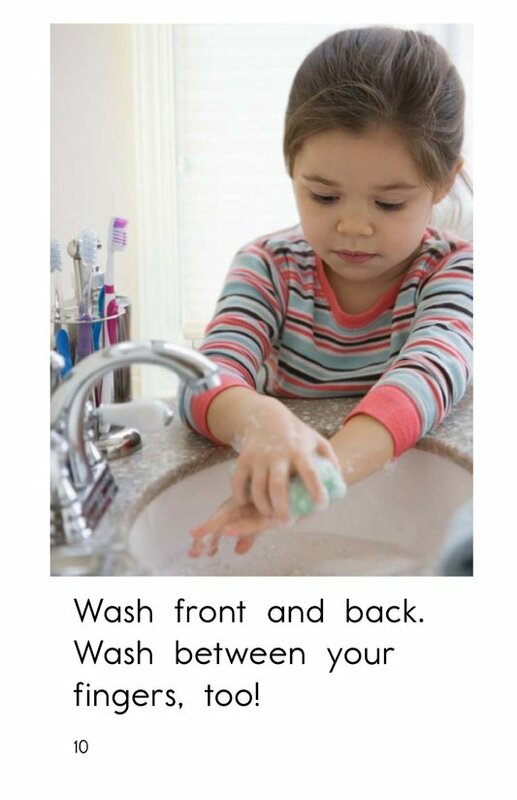 The repetitive sentence pattern will help early emergent readers decode the text. 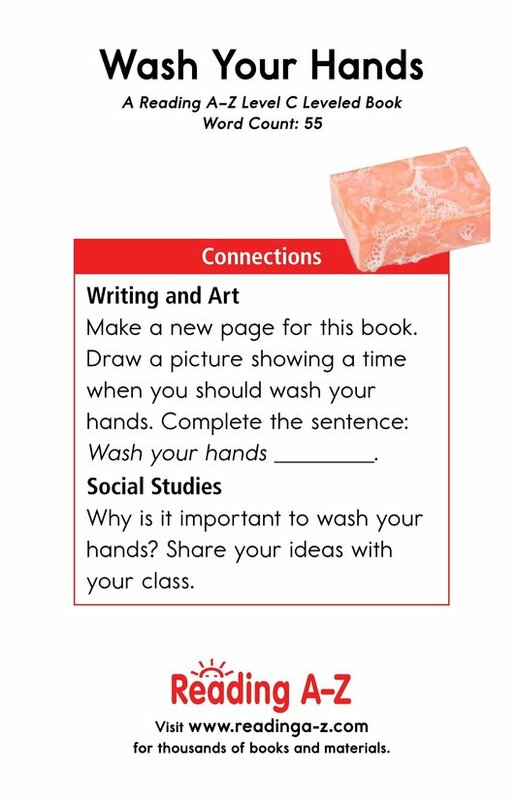 Students will also have the opportunity to determine the author's purpose and to connect to prior knowledge to better understand text.